Tablets like Apple’s iPad Pro offer the best of both worlds for both productivity and entertainment, but with a starting price of $599 for the 9.7-inch model, it’s far from affordable. Asus’s latest tablet, the ZenPad 3S 10, aims to offer a solid tablet for both productivity and entertainment, but at a fraction of the cost of the iPad. 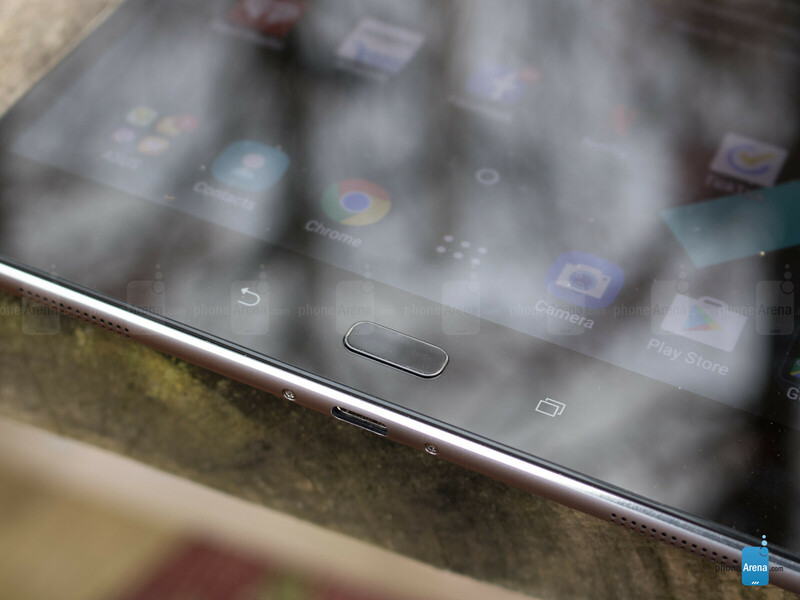 On paper, the $300 ZenPad 3S 10 sure does have the makings of a solid 10-inch tablet. Its aluminum body, 2K display, beefy processing internals, and 5,900 mAh battery are all steps in the right direction for the makings of a tablet worth buying, but does everything come into fruition the way that Asus is hoping? Or did the company reach too high with this one? 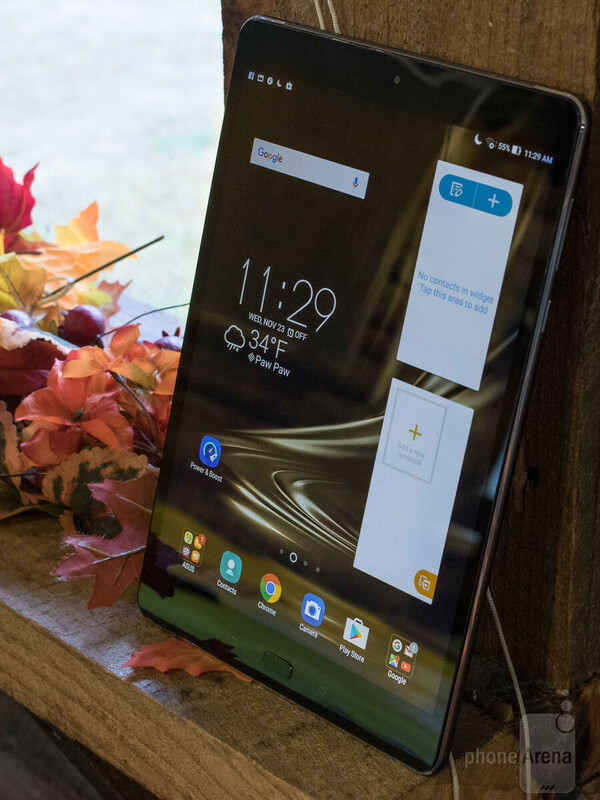 When it comes to the design of the ZenPad 3S 10, Asus did a phenomenal job at making the tablet look and feel much more premium than its asking price would suggest. 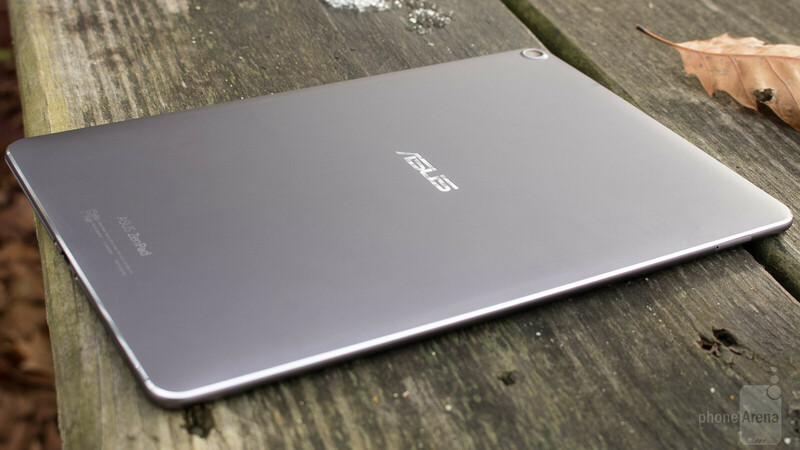 The tablet’s body is made entirely out of aluminum with no trace of plastic in sight, and Asus paid attention to all of the fine details with this one. The back of the ZenPad 3S 10 showcases a grey aluminum slab that’s surprisingly soft and smooth to the touch. The rear camera is housed in the upper left-hand corner, and silver Asus branding is located smack-dab in the middle. The rounded corners help to ensure that the tablet doesn’t dig into your hands while holding it, and the sandblasted chassis offer a nice bit of shine to further highlight the attention to detail that’s present with the overall design. 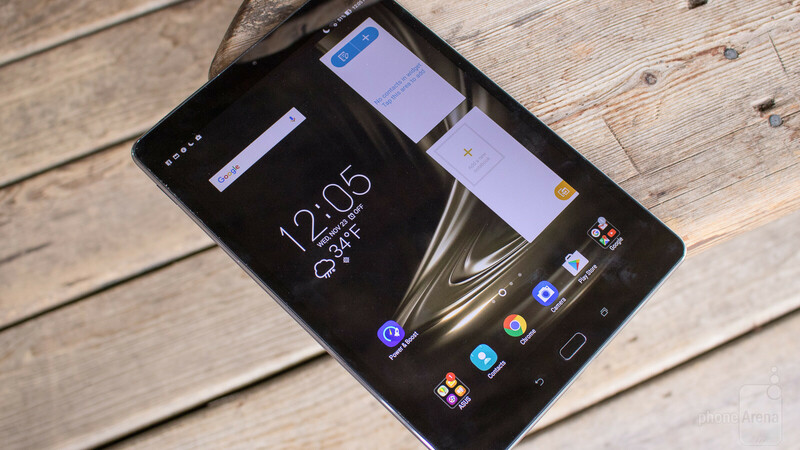 The front of the tablet is where the 9.7-inch display lives, and Asus was able to achieve an impressive 78-percent screen-to-body ratio to make viewing your content as enjoyable as possible. As you’d expect, the top and bottom bezels are the largest, but that bottom bezel is housing a nice bonus you probably wouldn’t expect to see in this price range – a fingerprint scanner. The fingerprint scanner Asus is using also doubles as a home button, and when comparing it to Touch ID on my iPhone 7, the ZenPad 3S 10 was able to scan my fingerprint and boot me to my home-screen right in line with the speed I got from the iPhone – which is to say extremely fast. Capacitive back and multitasking buttons live on either side of the home button, and while I usually prefer on-screen navigation buttons on a tablet of this size, I was more than willing to put up with capacitive ones if it meant getting a fingerprint scanner of this quality. The right-hand side of the ZenPad 3S 10 is home to the power/lock button and volume rocker, and while their aluminum build is a nice touch, I’m not the biggest fan of how they actually feel to press. The volume rocker feels nice and clicky, but the power button felt a bit mushy. Sometimes I would find myself having to press the power button twice to get the tablet to turn on, and while this isn’t necessarily a deal-breaker, it did prove to be a bit of an annoyance. My other gripe with the ZenPad 3S 10’s design lies with the microSD card tray. Pressing on it shows that it has quite a bit of give, and shaking the tablet causes it to rattle around. This didn’t effect performance of the slot, but again, it gets old after a while. Aside from those two minor gripes though, Asus really did a fantastic job with the design and build of the ZenPad 3S 10. Its 5.8-millimeter profile means that its even thinner than the 9.7-inch iPad Pro, and it also weighs less at 430-grams as opposed to 437-grams. 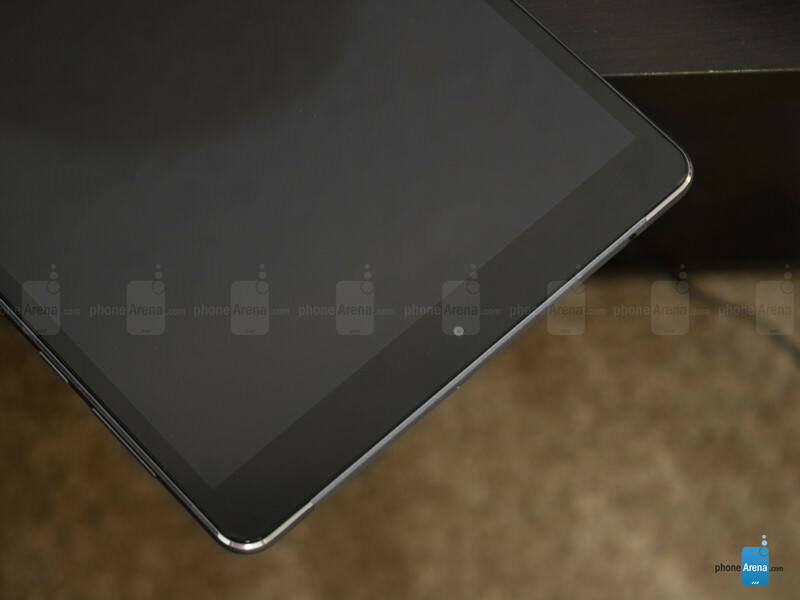 Moving back to that 9.7-inch display, the ZenPad 3S 10 features an IPS panel with a 2K resolution of 2048 x 1536. Asus’s VisualMaster technology makes an appearance here to enhance the contrast and clarity of content that’s on the screen, and to my eyes, it seems to work incredibly well. I usually prefer the look of AMOLED panels as opposed to IPS, but couldn’t find a single thing to pick on with the display on this tablet. Colors are bright and punchy, text is crisp, and the 178-degree viewing angles means that you should always be able to clearly see what’s on the screen no matter how you’re viewing it. While this display is already impressive enough on its own, Asus has also included their own Splendid app. Splendid allows you to tweak how colors are displayed on the screen, but I spent most of my time on the Balance present. The Vivid option punches up the intensity of greens and reds, and the Bluelight Filer option reduces the harshness of the screen’s blue light emission by up to 30-percent to make using it at night easier on your eyes. On top of all this, the ZenPad 3S 10’s screen uses a 4:3 aspect ratio. This form factor was made popular by the iPad since the start, and I’m thrilled to see that it’s making its way to more and more Android-powered tablets. While this does mean that you get black bars on the top and bottom of the screen while watching videos, it makes web browsing, checking email, and any sort of productivity task much more enjoyable. According to another review site it actually doesn't come with a QC 3.0 charger, so it may be capable of going quite a bit faster if an extra $15 charger is worth it to you. Nice even-handed review. I'd be interested in anyone's experience with Asus' custom tablet stylus. It sounds perfect for annotating pdfs and note-taking. I hope multi-window / split-screen support gets added in the Nougat update. It seems quite useful for a large-screen tablet and is included in the ipad and tab s2. Really ?? it charges faster than the Ipad ! "My only real issue with the battery has to do with charge time. It took the Asus ZenPad 3S 10 3 hours and 23 minutes to charge from 0 – 100-percent, and I found that quite disappointing considering that Quick Charge 3.0 is supposed to be present here. I understand the battery in the 3S 10 is on the larger side of things, but that’s still somewhat slow"